I’ve been making my own DIY liposomal glutathione for a little bit now. I’m no expert, but I’ve done quite a bit of research to try and make it right. Because it’s hard to find one place online for complete instructions, I have put them here. I tried to keep it short and sweet. If you want to read more, I made some notes at the bottom. 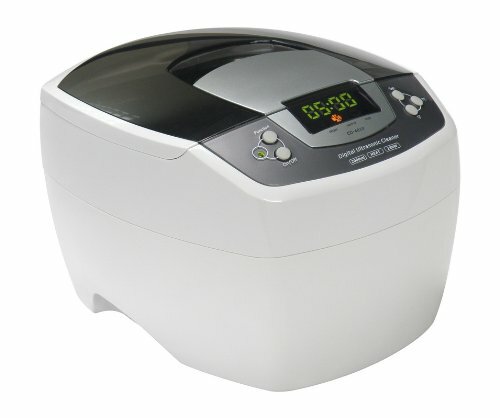 A commercial ultrasonic cleaner that will run continuously for up to 30 minutes. I have used this one because it was recommended by another DIY glutathione maker. Do not get the smaller, cheaper ones because it will only make a small amount and you’ll have to sit there hitting the on button every two minutes. NEW! You can now buy an ultrasonic cleaner with a beaker holder – made specifically for making liposomal solutions! A sturdy, attractive container to show off your inflammation-fighting brew. I use a thick glass beer type bottle with a rubber pop top. And because I’m one of those people who just takes a swig a few times a day. I like things to be as quick and easy as possible, so I will simplify a procedure if it seems overly complicated. I have made my DIY liposomal glutathione the way the instructions say to and my way, and I get the same autoimmune taming effects from both. Some people are sticklers for exact details, in which case my method might not be for you :p.
Basically, remember this simple formula so you can make larger batches (I make a triple batch — these instructions are for a single batch). 2) Place a folded paper towel in the bottom of your ultrasonic cleaner, with the basket removed. Set the flask on top of the towel, and then fill the cleaner with water around the flask. Why a paper towel? Because it dampens the horrible vibrating sound of the flask against the metal. Also, I make the DIY liposomal glutathione in a flask because one site said the ultrasonic cleaner will leach metal into your mixture. 3) If you were not able to use a hand blender for your sunflower lechithin mixture, run your ultrasonic cleaner for 20-30 minutes to help it blend better. 4) Mix 1 Tb of reduced glutathione in a 1/2 cup of distilled water and whisk thoroughly. Add to the lecithin mix. Last time I skipped mixing it separately and just dumped the water and glutathione into the lecithin, then zapped it good with the hand blender. Seemed to work fine, but if you don’t have a hand blender you may want to whisk it first. 5) After you’ve got your complete mix in the flask, set your ultrasonic cleaner to 30 minutes and begin the process. Check in and whisk it occasionally. Run it in the ultrasonic cleaner until there is no foam on the surface. I make a triple batch and need to run it multiple times. Because I make a triple batch the level of the mixture in the flask is slightly above the level of water in the ultrasonic cleaner. At some point I’ll look into getting an even bigger cleaner if they make them. I don’t know if this affects the quality, doesn’t seem to. I think the vibration is getting to the entire batch. 6) Check the temperature of the water in the cleaner and your mix if you have to run it multiple times as it will start to get hot. Add ice to the water to keep the mixture cool — another reason to use the flask. Let it rest if need be. 7) Your DIY liposomal glutathione is said to be complete when there is no more foam on the surface of the mix. With my triple batch this can take 4-6 runs on the half-hour setting. 8) Use the funnel to pour your mix into your bottle and store in the refrigerator. You just saved oodles of money! How much of your DIY liposomal glutathione do you take? Dr. Kharrazian says to take as much as you need to put out your fire. It depends on your degree of inflammation. I take a swig two to three times a day — more when I’m having a flare, less when I’m not. I have learned this: From looking at the amount of reduced glutathione in the DIY mix compared to liposomal glutathione you buy online, the professional mixes appear to be about three times as concentrated. So if you are used to drinking store bought, you may need to up your dose. It’s safest to always start with small doses and work your way up in case you have adverse effects. Some people have sulfation issues and can’t tolerate it. When I’m traveling I buy s-acetyl-glutathione from Apex Energetics and take about five to twelve capsules a day, which gets expensive, so I drink the liposomal glutathione at home. Update: I just tried this glutathione spray from Amazon and it seems to work. And the price isn’t too bad. I also take a product called Glutathione Recycler from Apex Energetics, which has a variety of glutathione precursors in it. One person told me taking glutathione would shut down my body’s ability to make its own. It is not a hormone so that does not make sense to me. I also asked Dr. Kharrazian and he said he has never heard that. If you have evidence please let me know. We are bombarded with toxins and stressors on a daily basis that tax our glutathione system. I think it is an amazing preventive strategy. I know my body sure has responded positively to it. –Some people say this method does not make truly liposomal glutathione, it’s just emulsified. Apparently you can only verify in a lab. But I don’t care. It either works or it doesn’t. 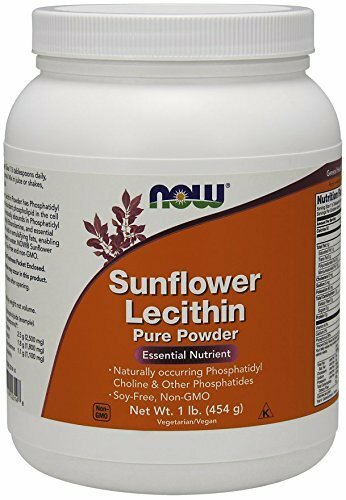 –Lecithin can be good brain support in itself. I haven’t researched it much, but I know it helps cellular membranes. However, I believe it can be unstable, so use your batches up quickly. I make a triple batch about once a week. –I came across one source that said just making your DIY liposomal glutathione with a hand blender (and skipping the ultrasonic cleaner) might be good enough. This has worked for me actually. –Most DIY liposomal sites are for vitamin C, which many people report benefits them greatly. 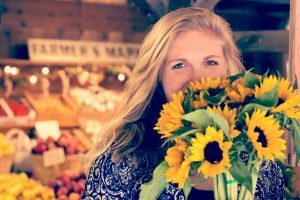 I have psoriasis so cannot use vitamin C as it affects a mechanism that triggers a psoriasis flare. I don’t remember specifically what, but I’m sure it can be found online. –From what I can tell, you use the same amount of reduced glutathione as ascorbic acid in the DIY liposomal C recipes. –You can make other things liposomal! People make DIY liposomal carnitine, CoQ10, resveratrol, turmeric, milk thistle, etc. If you respond well to a supplement and want to save money, order it in bulk and see if this method works for you. –I used to purchase from this doomsday prepper company on eBay. They make all kinds of liposomal products. My hunch is it’s roughly the same process. Their glutathione always worked well for me and they’re very nice. And they’re products are much cheaper than the professional brands. If things are too hectic for me to make my own it’s an affordable backup with that DIY feel. I love this site below, it is so detailed, descriptive, and precise. I’ll never follow through but I would love to hear from someone who does. It’s called Quality Liposomal Vitamin C.
Measurements are in ml and it was put together by someone who has access to a lab. It’s a good site for the science geeks. Protect your body from modern life with DIY liposomal glutathione! I hope this helps. I’m kind of loose with directions, which makes some people crazy. But many autoimmune and brain-compromised people get overwhelmed easily. So I hope my instructions make the process easier for you and will help you save money and protect yourself from the inflammatory arrows of modern life!